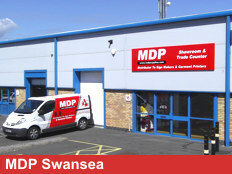 Our Swansea branch is conveniently situated just a couple of minutes from J45 of the M4 motorway, in the Swansea Enterprise Park area. We have the latest machines and products on display and our staff will only be too happy to assist, advise or take your order. At the exit roundabout take the first left and stay in the right hand lane. At the next roundabout go right (signposted Enterprise Park). At the next roundabout (Smyths Toys store on right) go right. On St David Road, take the 2nd road on the right and continue for 50 metres and we are situated on the right handside.